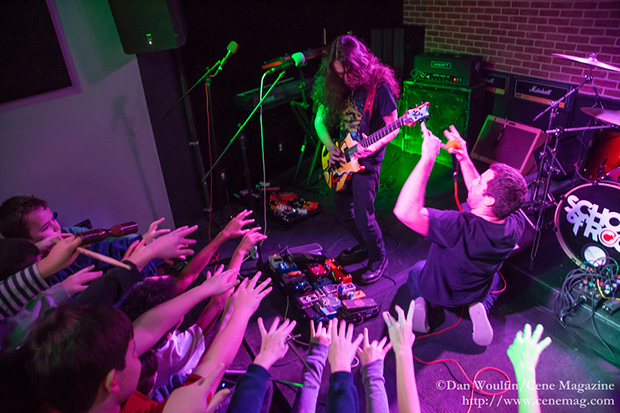 Dozens of children and one golden doodle were extremely excited to see and talk to Moon Tooth, the Long Island progressive metal band before they leave on their next tour with Astronoid. 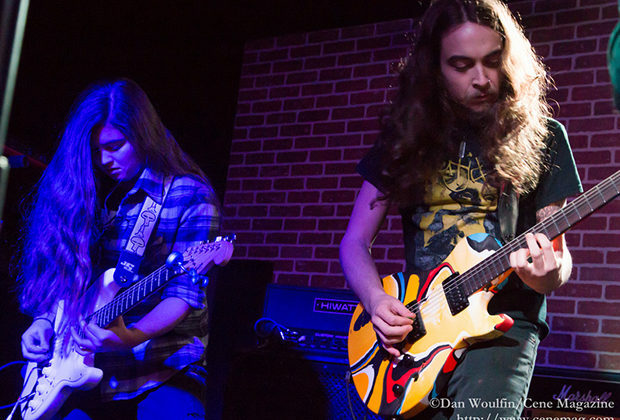 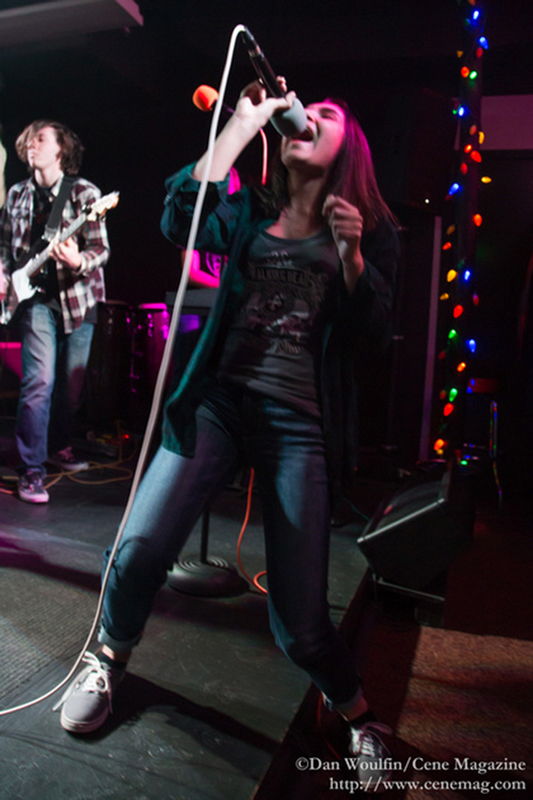 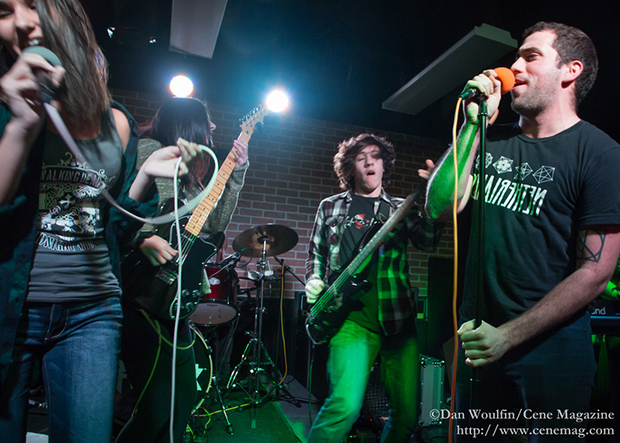 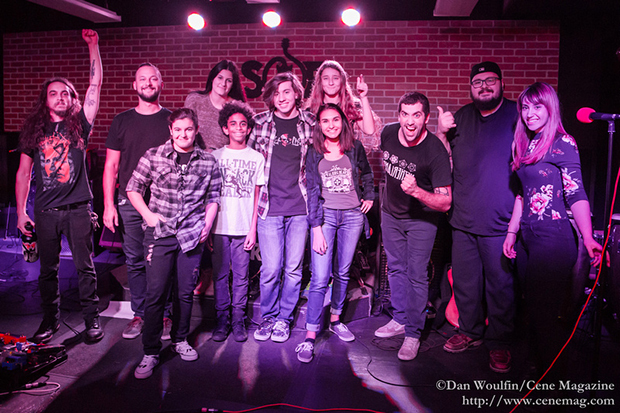 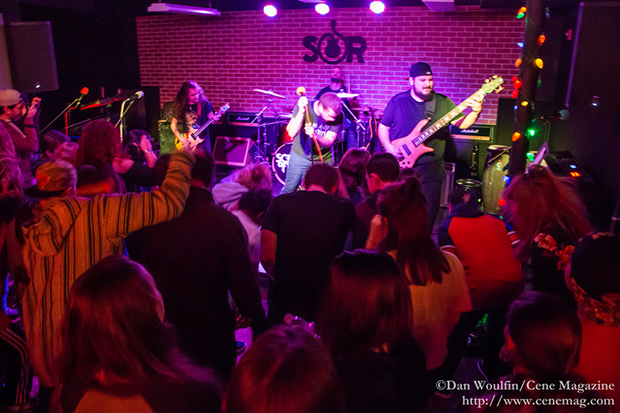 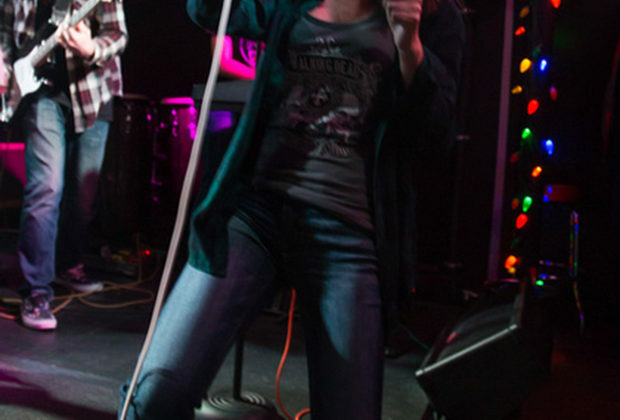 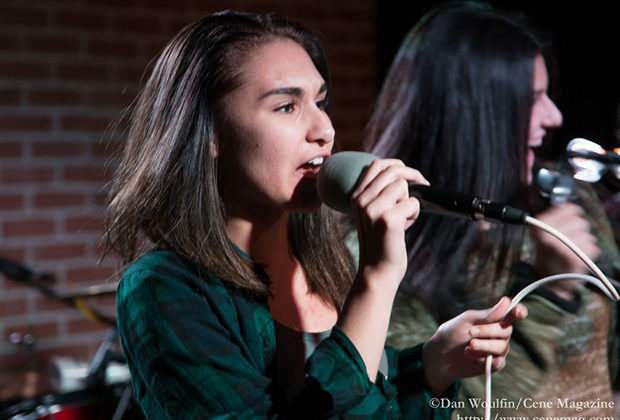 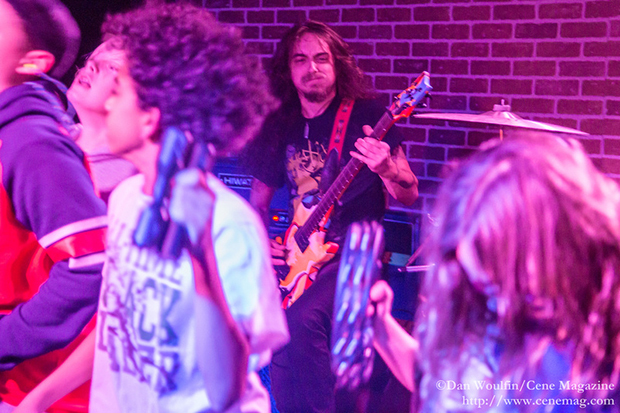 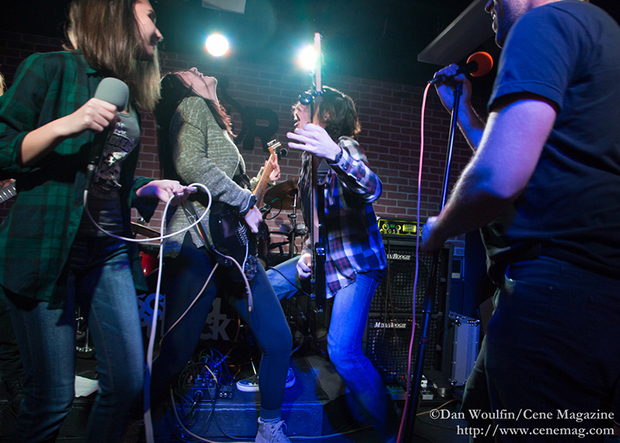 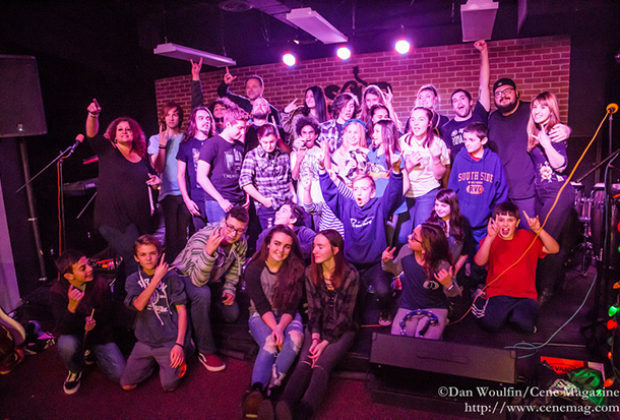 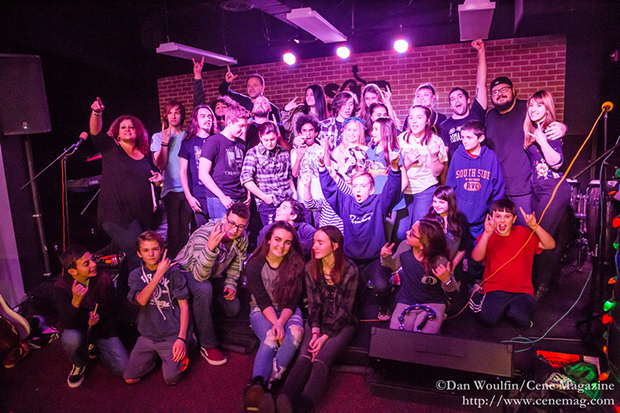 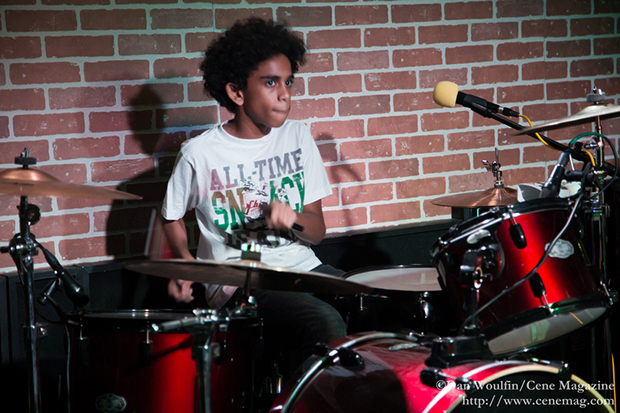 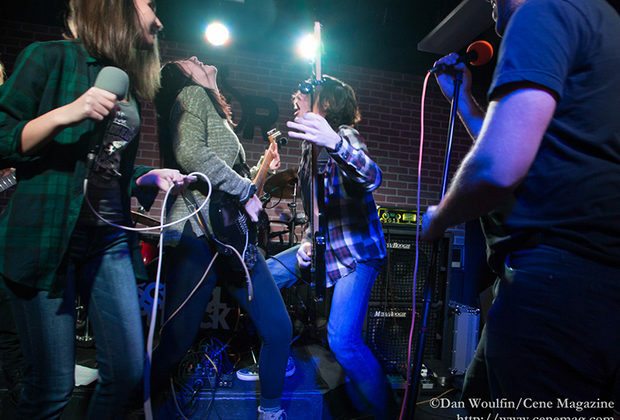 This eighteen and under show occurred on Friday the thirteenth of January for School of Rock students at the Rockville Centre location. 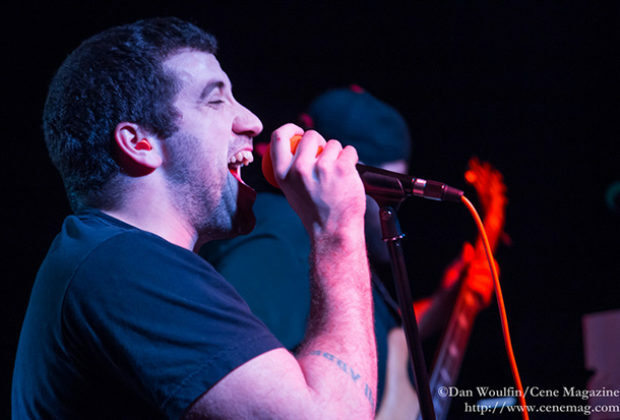 Moon Tooth, AKA John Carbone – Vocals , Nick Lee – Guitar & Vocals , Ray Marte – Drums & Vocals , and Vincent Romanelli – Bass, has shared stages with Killswitch Engage, The Dillinger Escape Plan, GWAR, Mutoid Man, Candiria, Weedeater, Veil of Maya, KEN Mode, Cancer Bats, King Parrot, and more. 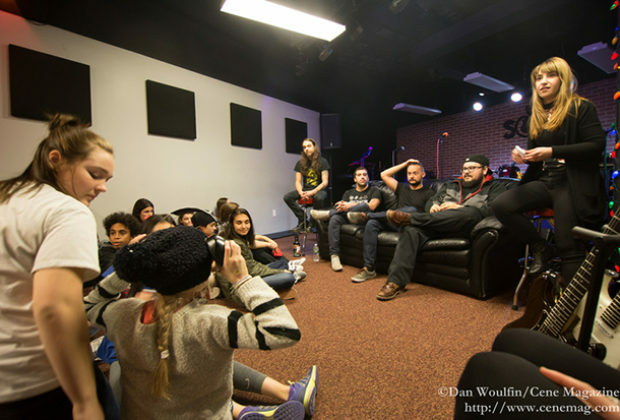 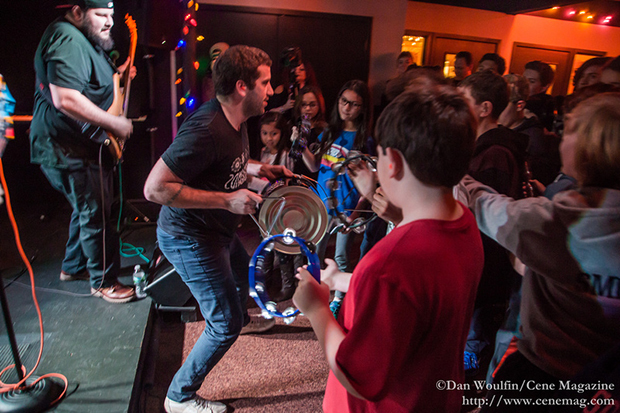 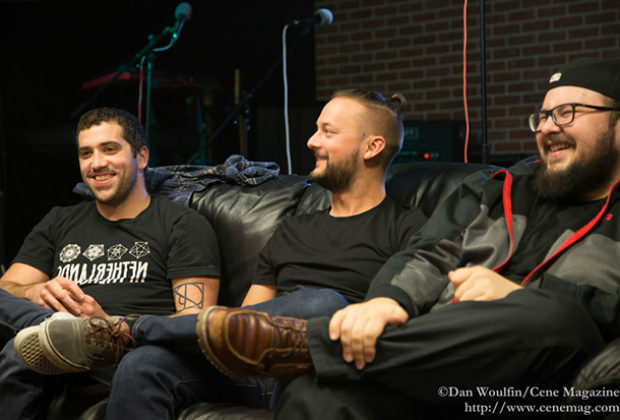 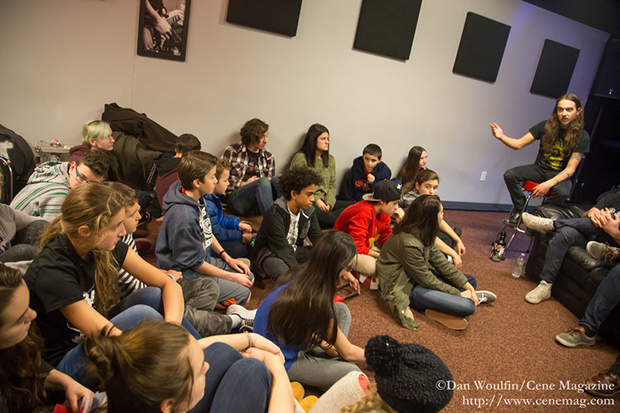 They talked to the students for over a half an hour about being in a band, life on the road, the recording, and mixing and mastering of their album “Chromaparagon” by Ray at Westfall Studio in Farmingdale. 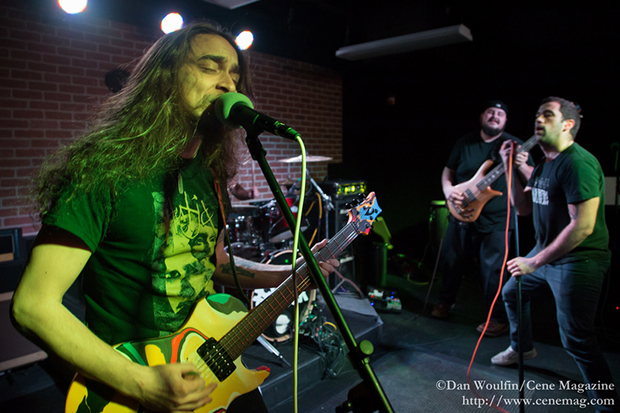 This album has been reviewed in Metal Injection, New Noise Magazine, and other publications. 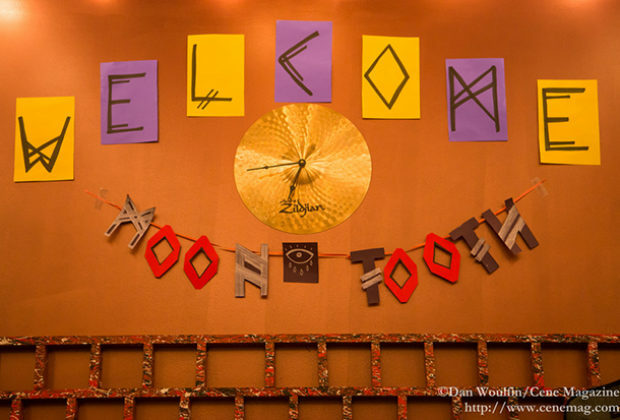 It also made John Darnielle’s (Mountain Goats) top ten albums in 2016. The band then was in for a surprise performance by the School of Rock’s Senior Band, who played Guns N Roses “Welcome to the Jungle.” They then invited John and Nick to join them in covering “Toxicity” by System of a Down. 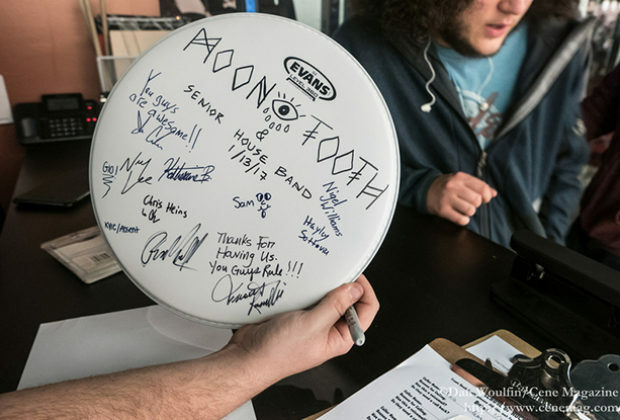 The students then experienced Moon Tooth’s touring set complete with new songs that have never been played live in front of an audience. 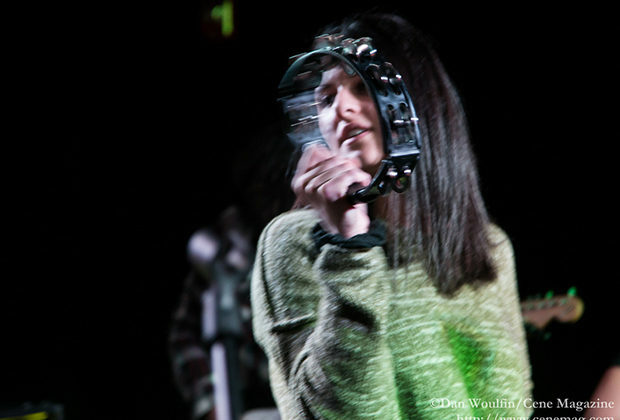 After a little hesitation they moved close to the stage banging and shaking percussion instruments that John handed out and swarming over Nick during guitar solos.